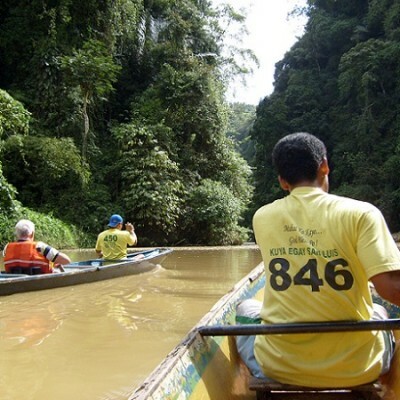 This 11 hours tour efficiently combines Tagaytay’s panoramic views (weather permitting) over lake Taal and Taal Volcano, the smallest and lowest volcano in the world, with the action of canoeing one of the most famous waterfalls in the Philippines, Pagsanjan Gorge & Falls. 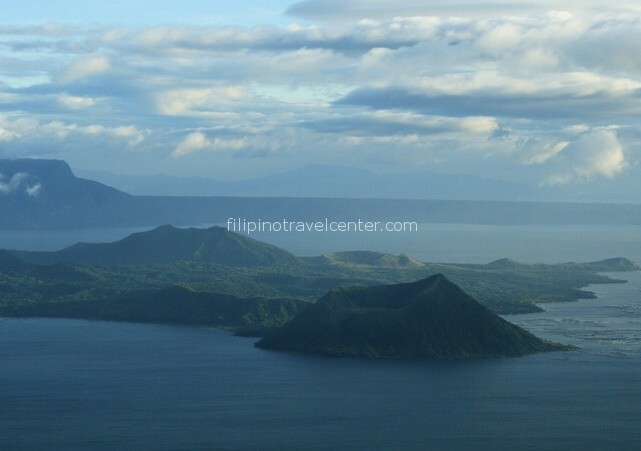 This tour offers only the panoramic view of Taal lake and Taal volcano seen from Tagaytay’s ridge. 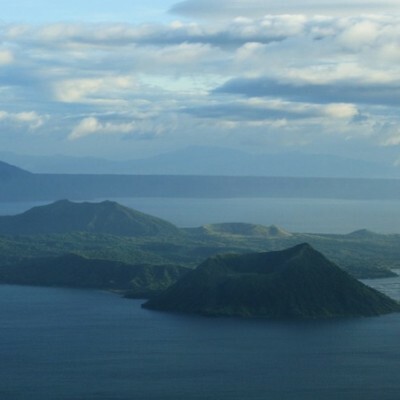 Should you wish to actually trek the Taal volcano up to its crater, we recommend our Taal Volcano Trek. 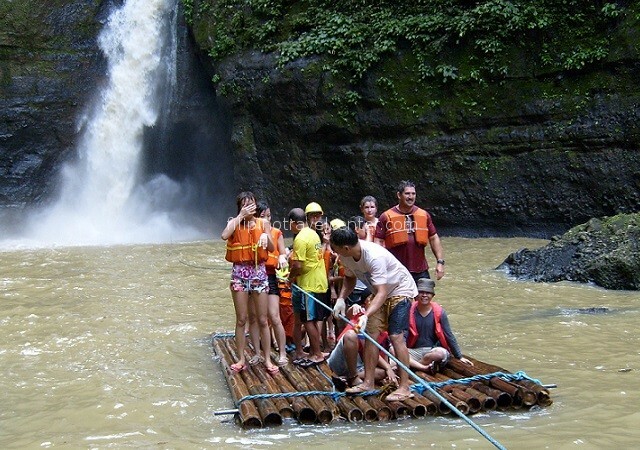 Note : The (optional) pulling of the bamboo raft under the waterfall stream itself is NOT ADVISABLE FOR YOUNGER CHILDREN. 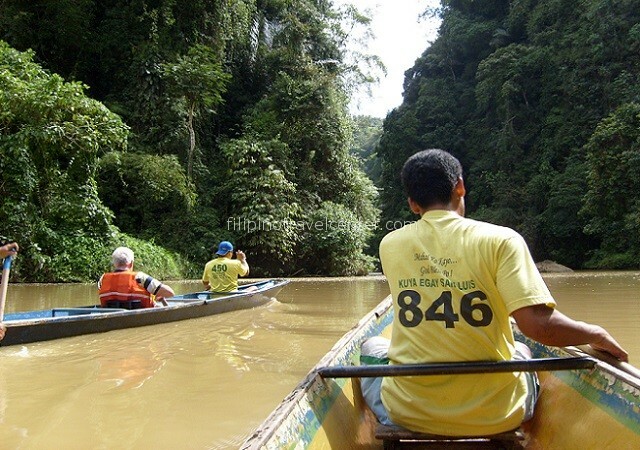 The sound of the cascading water, in combination with the inevitable screams of excitement of fellow passengers and being on a bamboo raft can be frightening. P.S. Please be warned that some boatmen on the Pagsanjan River may seek to increase their income by pressurizing you for a higher than average tip. you are not obliged to give a tip unless you think it is appropriate. The service for the boat, including boatmen, has already been paid by Filipino Travel Center Corp. Their service is regulated by the local government authorities and do not fall under our jurisdiction. 4 to 8 persons : Php 4,375.00 per person, if 4 to 8 persons. 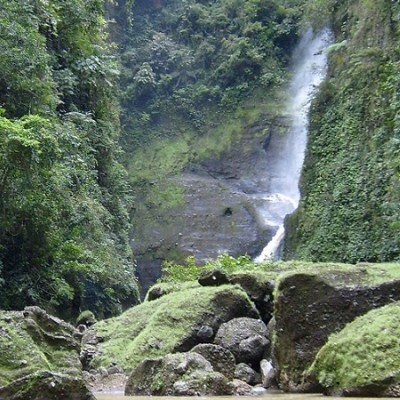 At 07:00 you will be conveniently be picked up by our private, chauffeur driven airconditioned car for your 2 to 2.5 hours drive south of Manila via Santa Rosa to Tagaytay. On the way to Taal Lake and Taal volcano’s viewpoint we drive by stalls offering fresh fruit, feel free to ask the driver to shortly stop should you wish to buy something. 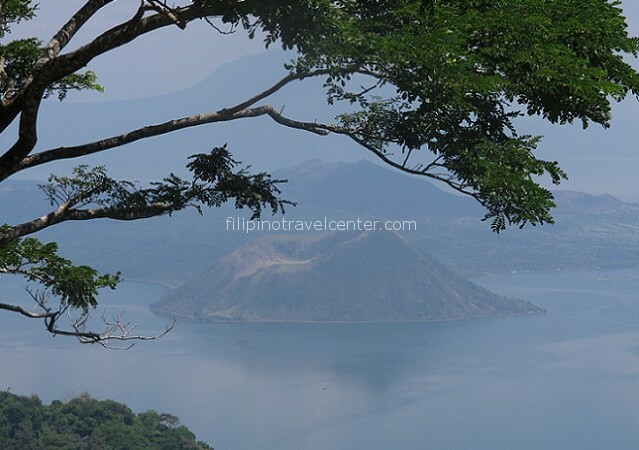 At 2,250 feet above sea level, this tour offers a panoramic view of Taal lake and its volcano, of course weather permitting. 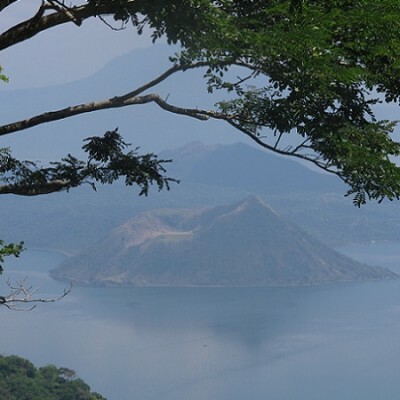 Sitting serenely on Taal Lake, this smallest and lowest volcano in the world offers a deceptively calm sight, given the violent history of past eruptions. 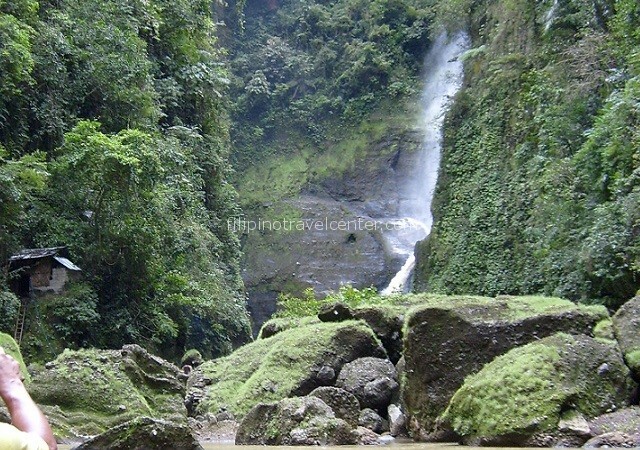 Your exploration continues as you head from Tagaytay to Pagsanjan. We will stop enroute in this 2,5 hours drive to enjoy a local cup of coffee and a piece of pie. Upon arrival, lunch will be provided to you in a simple lodge above the water’s edge. Time to change clothes and around 15:30 head back to Manila, where we drop you off at your hotel around 18:00 pm (depending on traffic and weather conditions). 18:00 pm depending on your departure time, weather and traffic conditions.